We celebrate books and reading all year long, of course, but as schools and libraries all across the country celebrate National Reading Month in March, we thought we would recommend five great books about books and reading. All Roger wants is some peace and quiet so he can read his book. Unfortunately, the girl in the apartment next door has hobbies of her own — very loud hobbies! 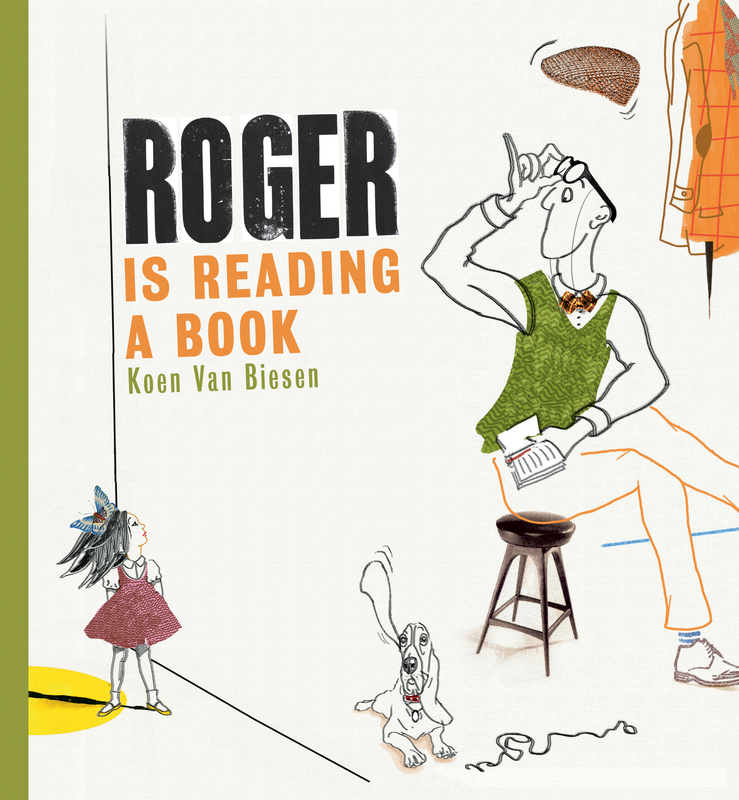 But when Roger gives the girl a book of her own, she discovers that reading can be just as much fun as playing basketball or banging a drum. This playful and engaging read-aloud from an award-winning Belgian author shows readers that shared activities can lead to rewarding friendships. Lily loves to read . . . so much so that she forgets to do anything else. She reads right through summer, fall, winter, and spring. But one day Lily meets a girl who hates reading. Milly invites Lily to have adventures of her own outside the pages of a book — and Lily shows Milly that books can be exciting, too. 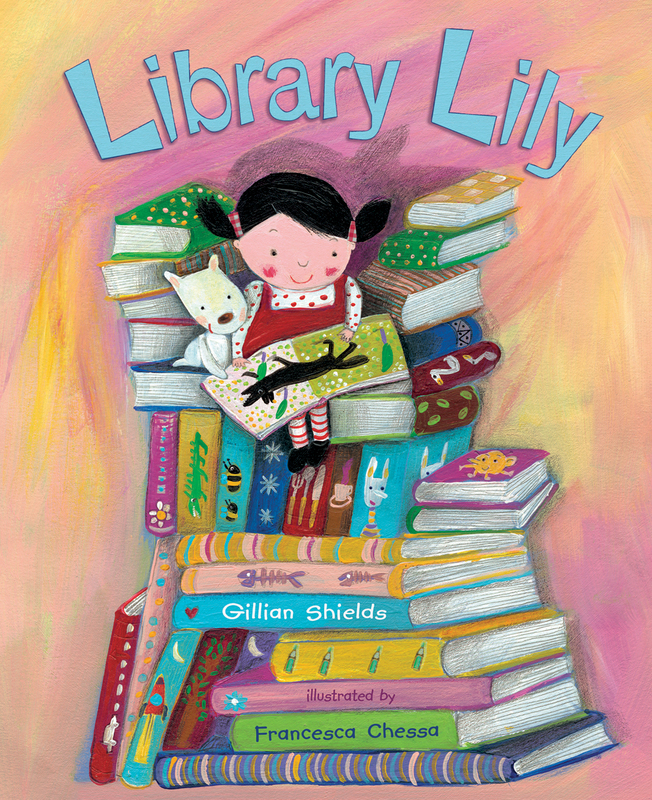 Gillian Shields’s heartwarming story of imagination and friendship will resonate with book lovers of all ages, and will remind readers that adventures, whether on or off the page, are best with a friend along. For more Library Lily adventures, here’s a great coloring page featuring Lily and Mily. Brother Hugo can’t return his library book — the letters of St. Augustine — because, it turns out, the precious book has been devoured by a bear! Instructed by the abbot to borrow another monastery’s copy and create a replacement, the hapless monk painstakingly crafts a new book, copying it letter by letter and line by line. But when he sets off to return the borrowed copy, he finds himself trailed by his hungry new friend. Once a bear has a taste of letters, it appears, he’s rarely satisfied! 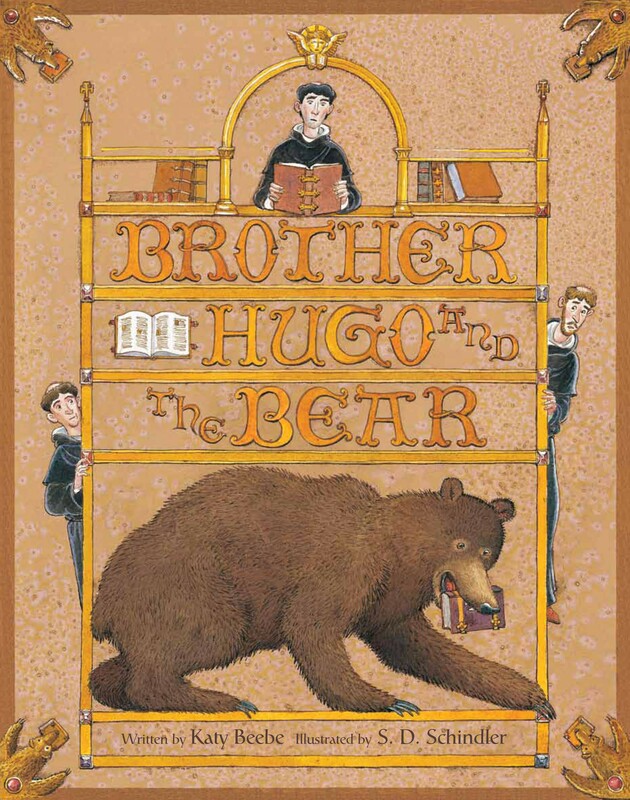 Brother Hugo and the Bear is loosely based on a note found in a twelfth-century manuscript — and largely on the creative imaginings of author Katy Beebe. Lavishly illustrated by S. D. Schindler in the style of medieval manuscripts, this humorous tale is sure to delight readers who have acquired their own taste for books. For shy young Peter Mark Roget, books were the best companions — and it wasn’t long before Peter began writing his own book. But he didn’t write stories; he wrote lists. Peter took his love for words and used it to organize his ideas and find exactly the right word to express just what he thought. His lists grew and grew, eventually turning into one of the most important reference books of all time. 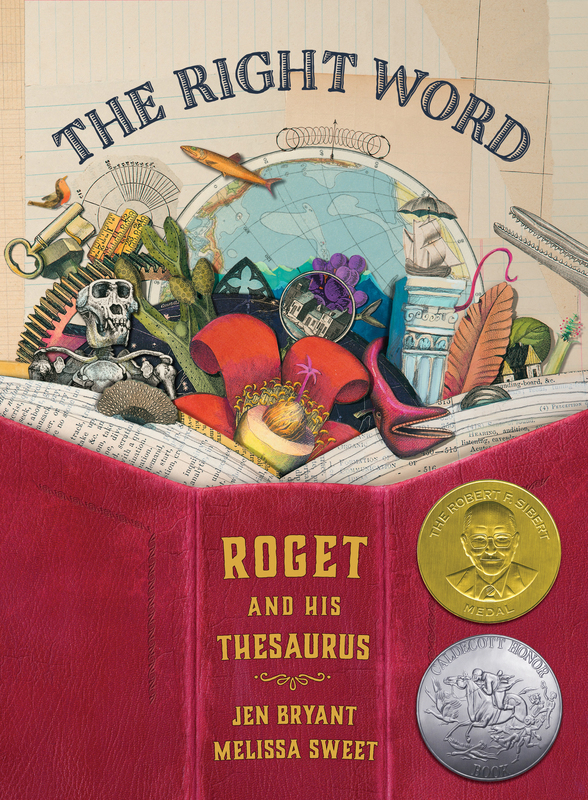 This book is an inviting, visually engrossing portrayal of Peter Mark Roget and the creation of the thesaurus. Readers of all ages will marvel at Roget’s life, depicted through lyrical text and brilliantly detailed illustrations. This elegant book celebrates the joy of learning and the power of words. Create a mixed-media masterpiece à la Melissa Sweet with Rachel’s Right Word collage idea (grades 4-5). Willie loved to write — words gave him freedom and peace. But he also knew that he needed to earn a living, so when he grew up he went off to medical school and became a doctor — one of the busiest men in town! Yet he never stopped writing. 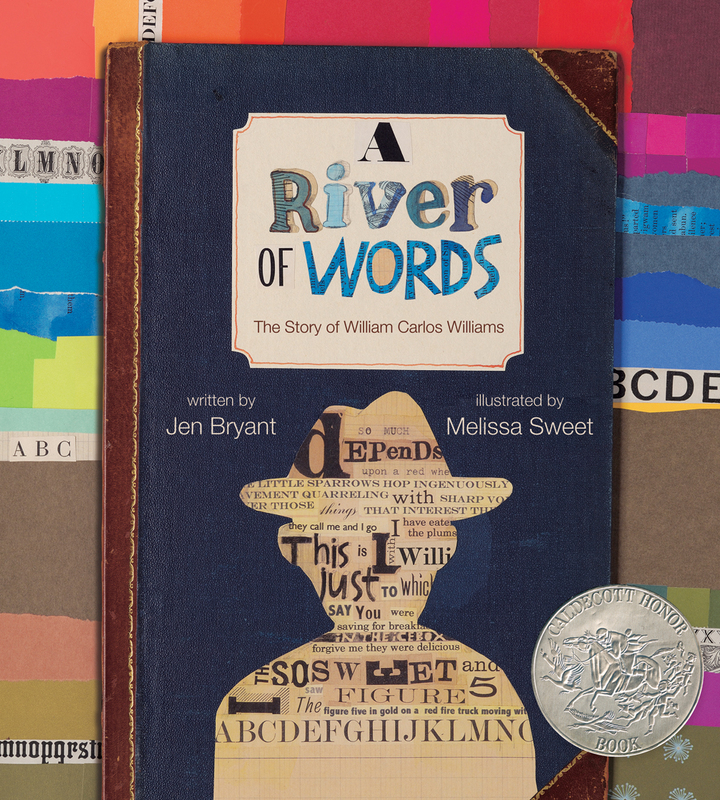 In this picture book biography of poet William Carlos Williams, Jen Bryant’s engaging prose and Melissa Sweet’s stunning mixed-media illustrations celebrate the amazing man whose poems about ordinary, everyday things will inspire young readers to create poems of their own. Click here to browse our entire featured collection for National Reading Month.